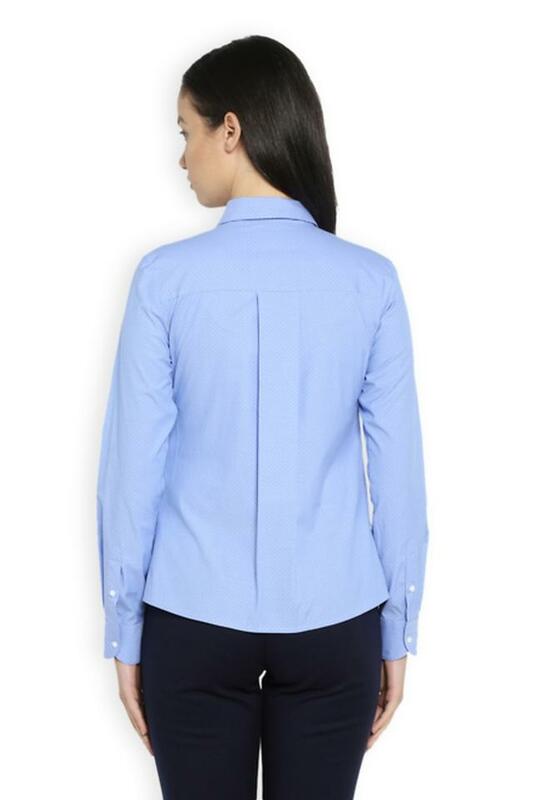 Add a smart touch to your wardrobe with this shirt from Van Heusen. Crafted with care from a good quality fabric, it feels extremely soft against the skin. 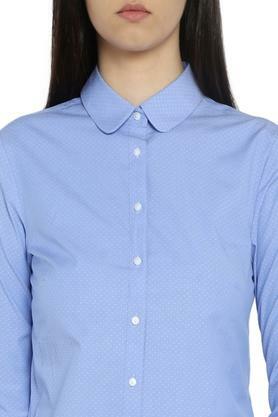 In addition to that, it comes with a collared neck along with full sleeves that offer it a contemporary look. Walk with confidence by wearing this solid shirt, which has been tailored to perfection. 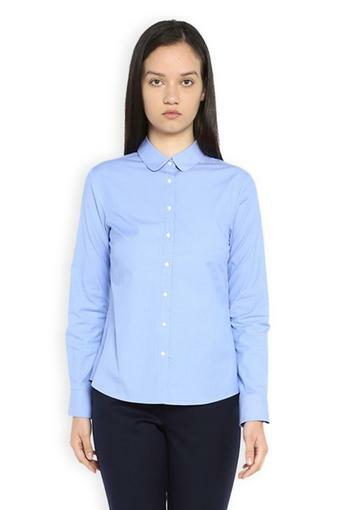 You can team it with a pair of trousers and wedges to complete your formal look.